Since the mountain bikes caught people’s attention in the late 1890’s, a lot of changes and modifications have been made to them for the better. There’s actually a huge difference between what you could have had back then and today. So, whether you’ve already had some experience with mountain bikes or are looking for your very first, this section is meant for you. Before we get started with the specifics, you should know that while choosing a mountain bike, you’ll need to take quite a lot into consideration depending on why you need one. From the type of bike that you should go for regarding the terrain to the performance feature and build quality of the bike, nothing should be left out which is why we’re here for you today. How about we cut to the chase and get started right away? 2 Mountain bike features- what should you look for in the best? Before we go ahead and get into details about the features you ought to look into when choosing a mountain bike, how about we first take a look at the different options you could choose from? If you’ve used road bikes before, then you’ll find quite a huge similarity between them and the cross-country mountain bikes. These are built for riders that are looking to get pedal performance and not really maneuverability. They will also weight much less as compared to the other types of mountain bikes we’ll look at. Cross country mountain bikes do have lower amounts of suspension and the wheels have a larger surface area. Most of the cross-country mountain bikes will have the 29” wheels but if you’re smaller in size, you could drop this down to about 27 inches. So, if your top priority is getting a bike that’s competitive, this one should work perfectly well for you. The tires that you’ll get on the cross-country bikes are aimed at favoring reduced weight, a faster-rolling resistance, efficiency & speed and most importantly control and durability. These bad boys are most likely going to be put under really extreme conditions hence you'll want them to have the best longevity. This is the most common type of mountain bike and what most people think of when they hear mountain bikes. Over the years, the trail bikes have been designed to hold up amazingly well for the uphill climb and they'll also not disappoint you on the descent. Due to the fact that they’re ideal for climbs and descent, they do have a suspension on both the front and the rear. In order to have a better climb, most trail mountain bikes have travel adjustments especially on the lockout mode of the front forks and the back shocks. The suspension travel is mostly between 120m and 140mm whereas the head tube angle will be between 67 and 69 degrees in order for the bike to turn faster and climb better. Just as their name suggests, the fat bikes come with an oversized tire which will normally range between 3.5 inches to over five inches. Due to the wider nature of the tires, the fat bikes tend to have the greatest traction when in contact with the ground. With a greater surface area in contact with the tires, these tend to be the best entry level bikes since they will give newbies better control in mountainous terrain. What’s really the difference between downhill mountain bikes and the trail mountain bikes? Well, it’s quite straightforward, while the trail bikes are meant to give you a better incline and decline, downhill mountain bikes focus on giving you a better descent at faster speeds. They'll work really well with gnarly terrains, high speeds, huge drops, steeper terrain, and jumps. On the other hand, they're really poor for uphill climbs and are made to go only downhill hence you'll have to look for another way uphill possibly with the aid of a chairlift, hiking or shuttling. The wheels on these bad boys should be at least 26" and they come with a head angle of fewer than 65 degrees for the greater speeds. The suspension is at least 170mm to over 200mm on an ideal downhill mountain bike whereas the head tube angle is between 63 and 65 degrees. Normally, the less steep the angle of the head tube the faster they will be on the descent. As for the tires, these are basically engineered for durability and traction (I’d recommend that you go for one with spiked and treaded patters if you’re going to encounter mud). The tires are also designed to shrug off any cuts from sharp rocks or sticks during the steep descent down a slope. Deriving their name from the mountain bike race format called Enduro where you’re timed on the descent even though climbing is necessary, these bikes have got a really close similarity to the trail mountain bikes. These are also really competitive and if you don’t prefer the descent offered by the free ride bikes but are more inclined on earning your ride, search no more for the perfect mountain bike. The tires are much larger than what you’ll get on trail bikes and even with this added feature, they’ll be light enough to pedal uphill. In addition to this, the suspension measures between 140 and 170mm whereas the head tube has got a steep angle between 65 and 68 degrees. The tires on these bad boys are exclusively designed to favor sharp turns and traction since the most important part of all while using these is during the descent. 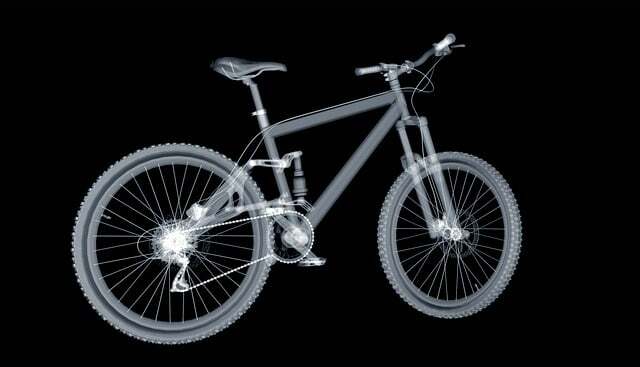 Mountain bike features- what should you look for in the best? Now that you know the different types of mountain bikes there are out there, how about you couple that knowledge up with some of the features you should focus on when buying either of the options above? This is the most common frame material you’ll get on most mountain bikes the reason for this being that aluminum is lightweight and most importantly resistant to corrosion and rusting. This is the most expensive of all frame types due to its lightweight, strong and durable nature and unless you’re exclusively after the high-end bikes, you shouldn’t get one with this. For the suspension, you’ll get either the rigid, the hardtail or the full suspension. Let’s see how either of these holds up, shall we? Hardtail suspension: for these ones, the front has got a suspension for shock absorption but the back has got no suspension. The power transfer is direct between the pedals and rear tire and is the preferred choice for most cross-country riders. Full suspensions: as much as there are many variations of this, the basic idea is that both the fork on the front and the rear shock to take in the impact as you ride. This increases the traction and makes the ride enjoyable. As far as choosing a mounting bike based on the gear is concerned, it’s basically a matter of personal preference. Since you can get anything from a single speed to over 30 gears, you should consider the type of terrain you’ll be cycling in. if you will encounter a lot of steep hills which are more challenging, then you should opt for more gears. On the other hand, for relatively flat terrain, you should go for a less gear count. On most mountain bikes, you’re unlikely to find disc brake systems since these have been replaced by the rim brakes. Nonetheless, let’s take a look at both of these. Rim brakes: only a few entry-level mountain bikes have these. They’ve got a pad that grips on the wheel rims to stop the bike. They are economical and require less maintenance in addition to being easy to replace when worn out. I’m pretty sure that you’ve now figured out which type of mountain bike you should go for or at least you do know where to kick off your search for one and what to look for.